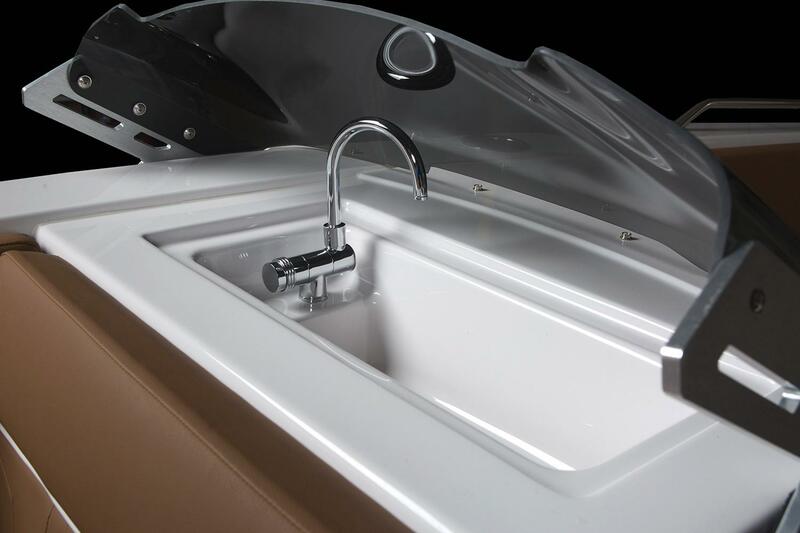 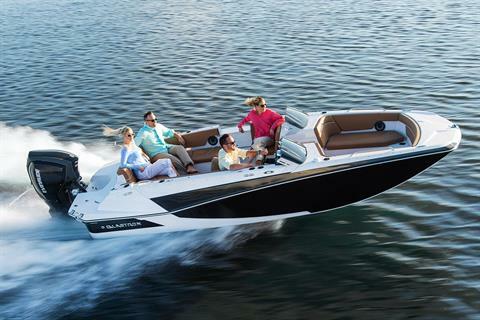 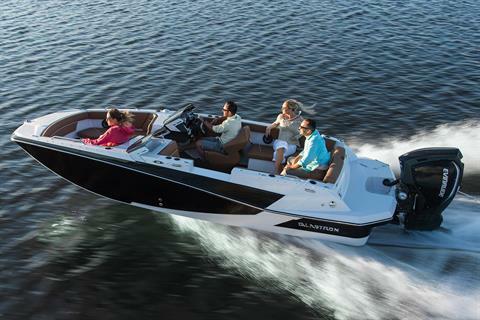 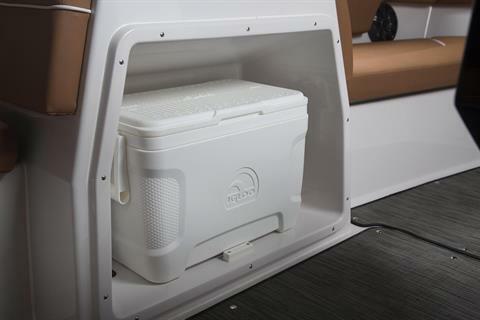 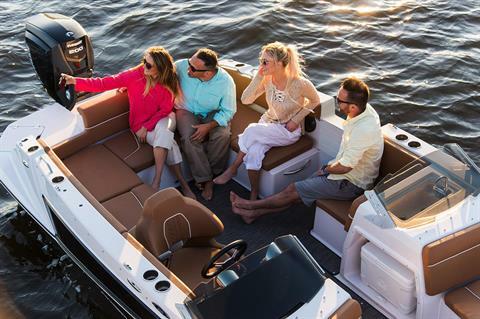 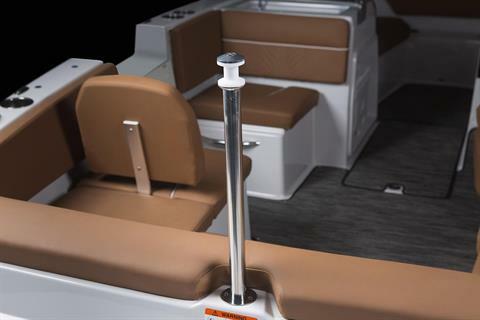 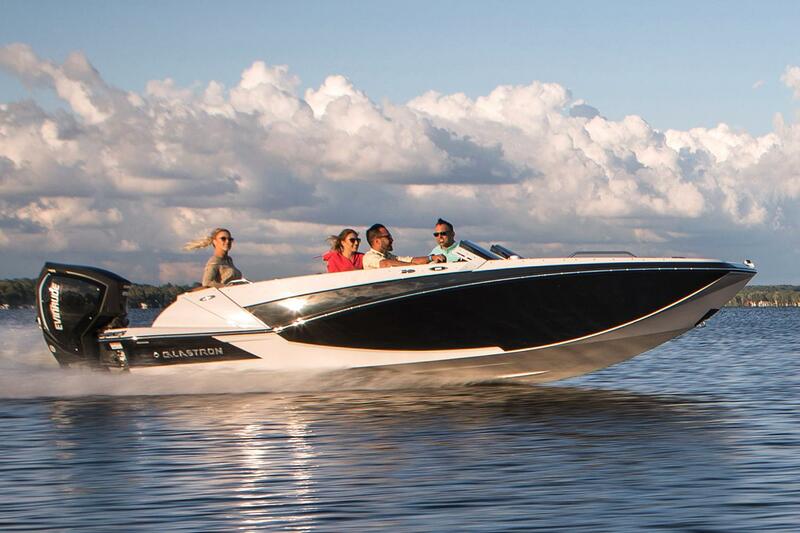 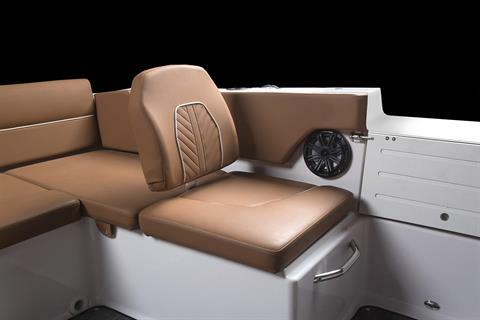 This pristine deck boat will put you and your family at the forefront of all the joys of owning a Glastron. 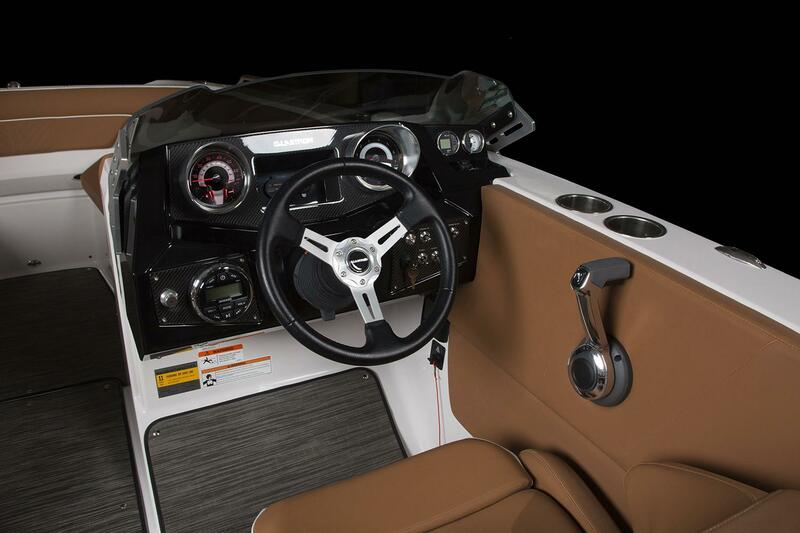 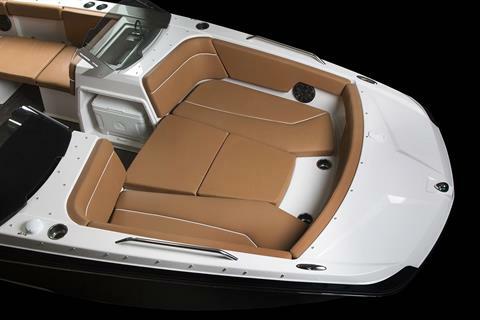 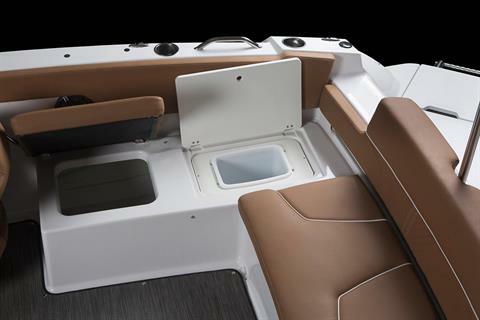 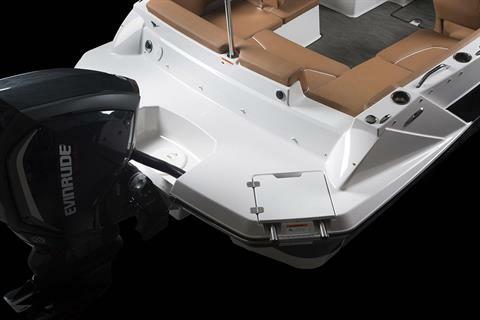 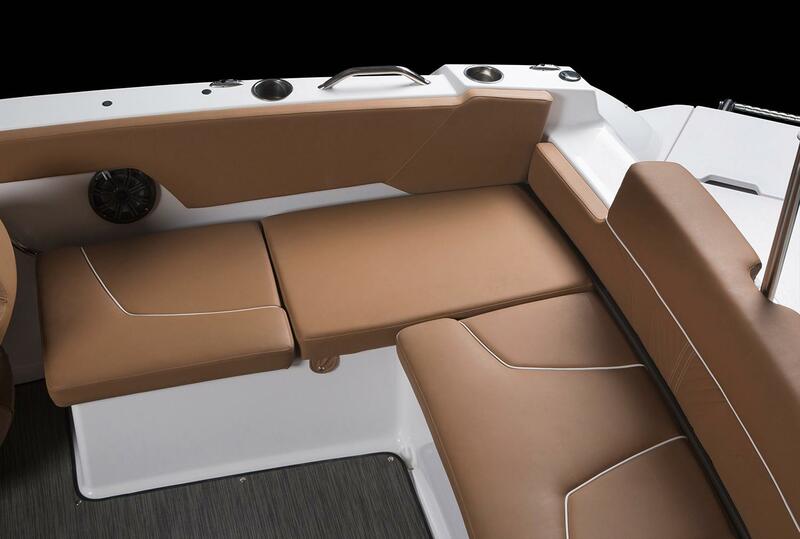 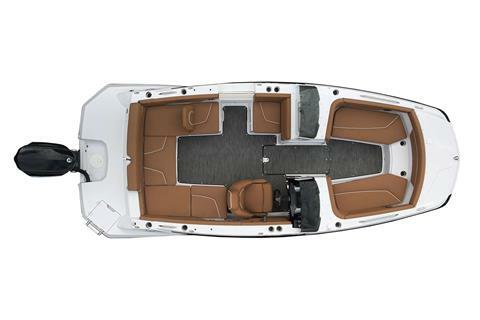 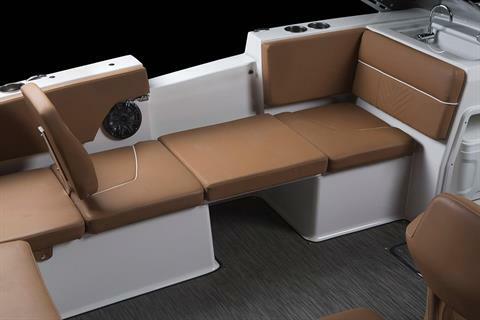 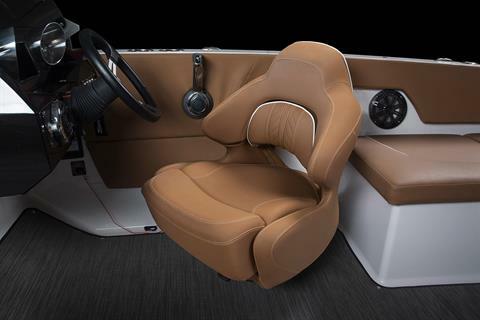 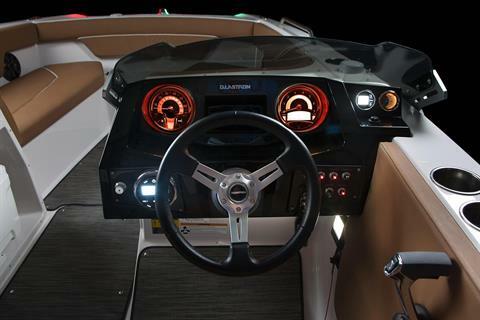 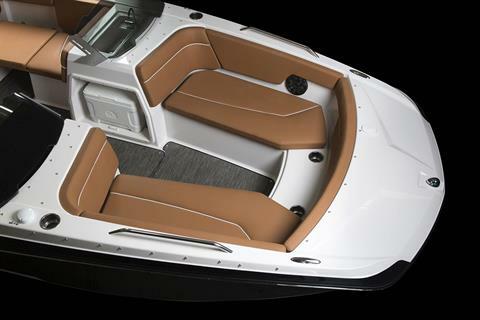 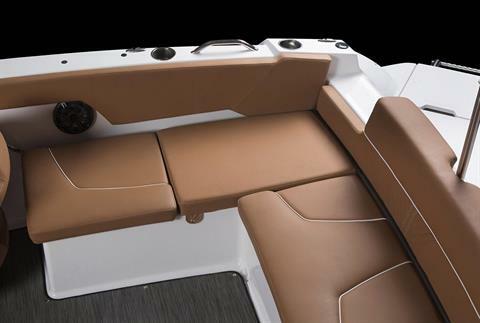 Leaving deck design in your hands, she comes in three distinct deck configurations: single console, dual console, and dual console with a full windshield. 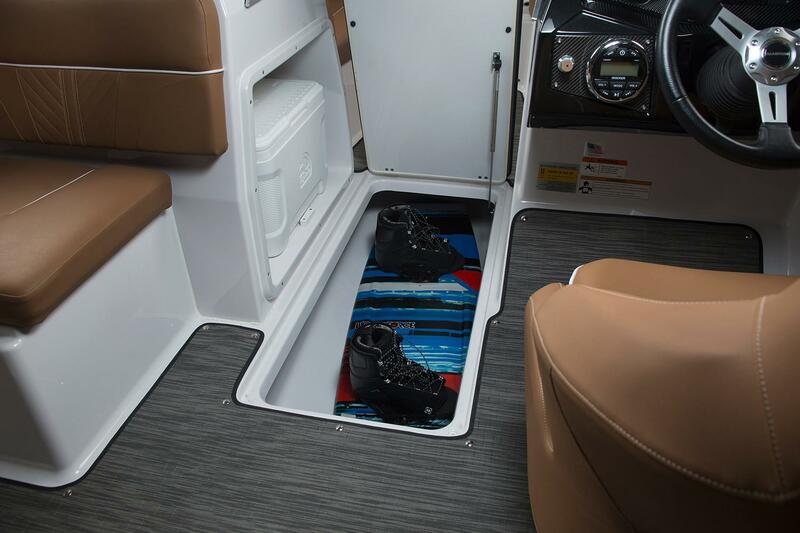 Inside delivers wide bow and stern swim platforms, U-shaped seating for 11 friends, and a port step that ensures boarding is safe and efficient.